During my clinical work I have seen everything from a total “cure” to the problem being permanent; and everything in between. Resolution to the problem requires hard and focused work. Therefore; I have developed a system where therapy can be provided via telephone and skype. Skype is an absolutely amazing phenomenon as patients from far away are, in essence, right in my office. 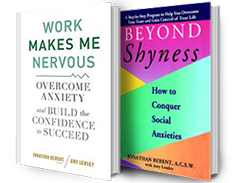 This therapy is productive for individuals who have “initiative” regarding healing, and who are motivated and verbal with such challenges as public speaking anxiety, generalized social anxiety, performance anxiety, and fear of blushing-erythraphobia.. 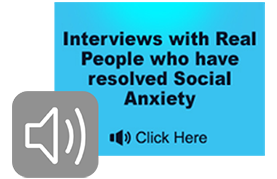 It also is effective for parents of individuals with social anxiety and related problems, who are overly dependent and not capable of “initiative, such as selective mutism. Here is how it works. Call 800-248-2034. I will return your call as soon as possible. Please leave a number and general time when you are available to avoid the possibility playing telephone tag. Time is important for you and me. In fact, the philosophy that “time is your most valuable asset” is energy that drives treatment. A mutually agreed on time and modality (phone or skype) is established for the first session . The purpose of this session is to define the specifics of your problem, focus on your goals, get a brief history, orient you to the process of therapy, and answer your questions. You motivation level and suitability for telephone-skype therapy will be assessed during this session. Sessions are $195 for 30 minutes with Jonathan. Payment for telephone-skype therapy is via credit card.